This was a good night: I have just passed #30 for the lead and went on to win. 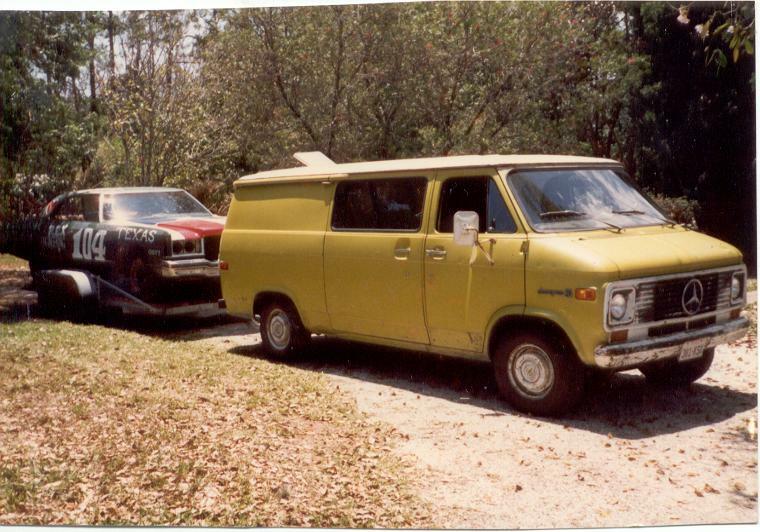 My all-time favorite truck: a 1973 Chevy van that I rescued from the junkyard. It had no A/C, only 2 seats, got 11 MPG and was noisey as could be. But this was my only transportation for many years and I loved it. My wife and I drove off from our wedding reception in this thing! Note the Mercedes emblem on the grill. That is a story in itself. 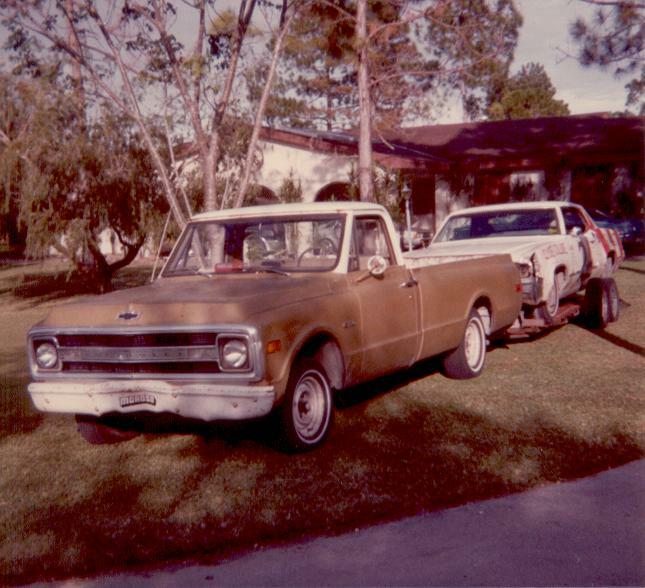 My first truck: a 1970 6 cylinder 1/2 ton. It had very little in the way of an interior, so you could keep your feet on the dashboard and not really worry about a thing. 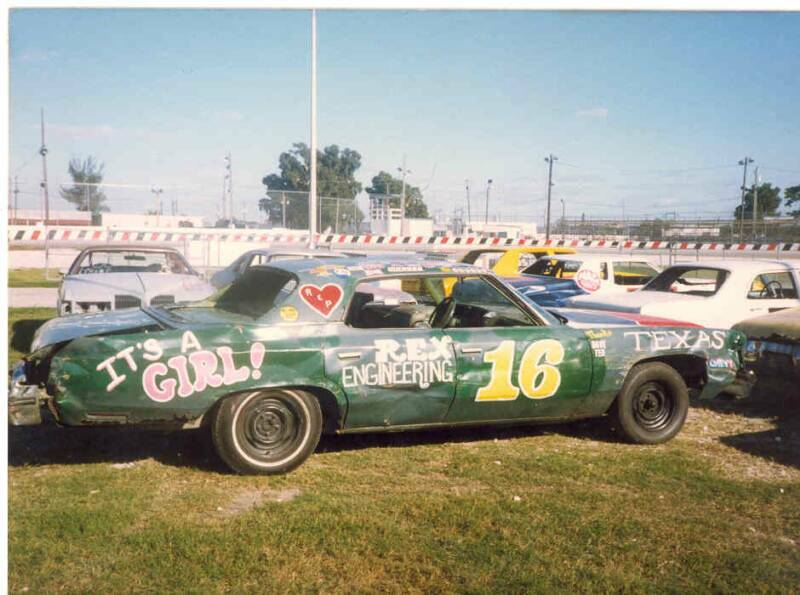 I drove some demo derbys in the old days at Hialeah. This one finished second, and I came SO close to winning. 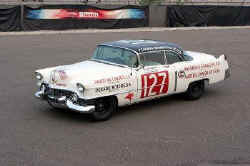 The car that beat me was driven by the demo "inspector", Irving Goldstein. 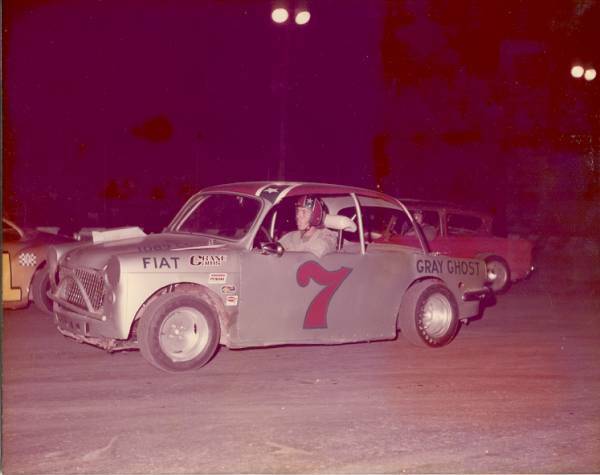 Its funny, he always used the same car, it usually won, and it never bent up! How could that be? On this night, Irving and I had a dual for what seemed like 10 minutes. I chased and he ran. 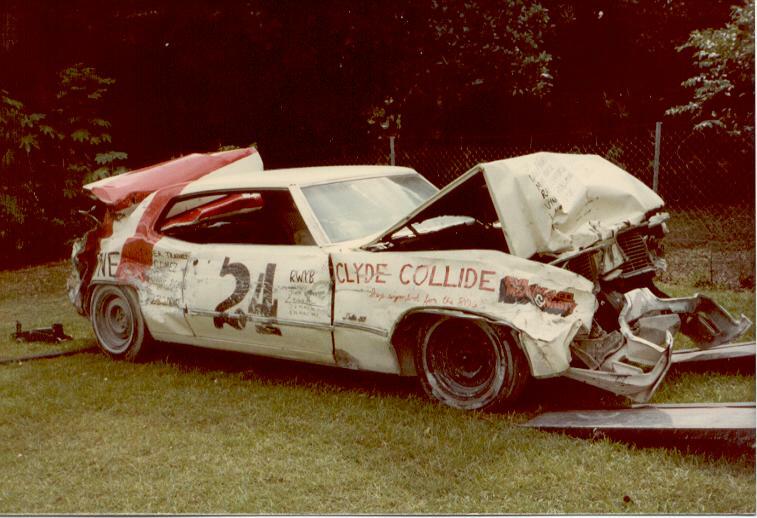 Eventually, I beat the back of this car up so bad that the gas tank, that was strapped to the rear seat, sprung a leak and I ran out of gas. 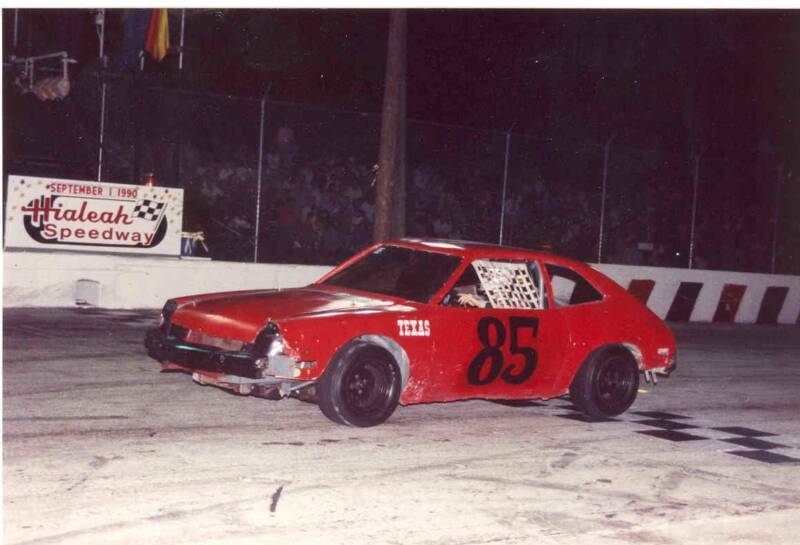 A few seconds later, Irving's car had an electrical short and caught fire, so I figure I was a few seconds from winning. Oh well. 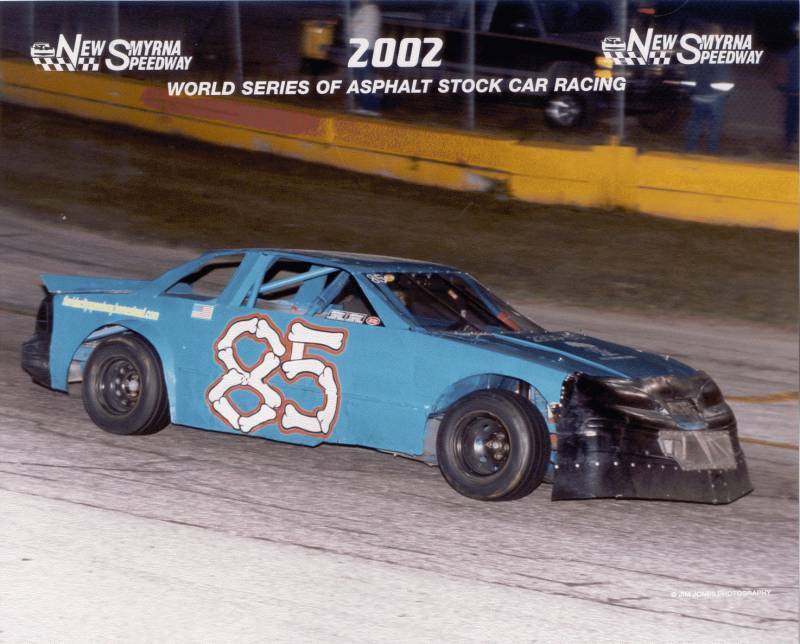 Here was my mini stock at New Smyrna during the February World Series. I love going up there for the 9 nights of racing in a row. 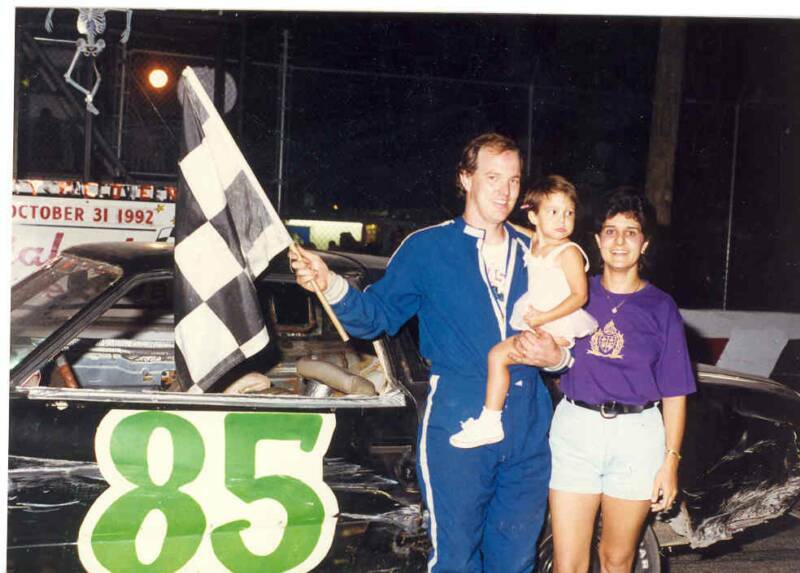 This was my first race ever. 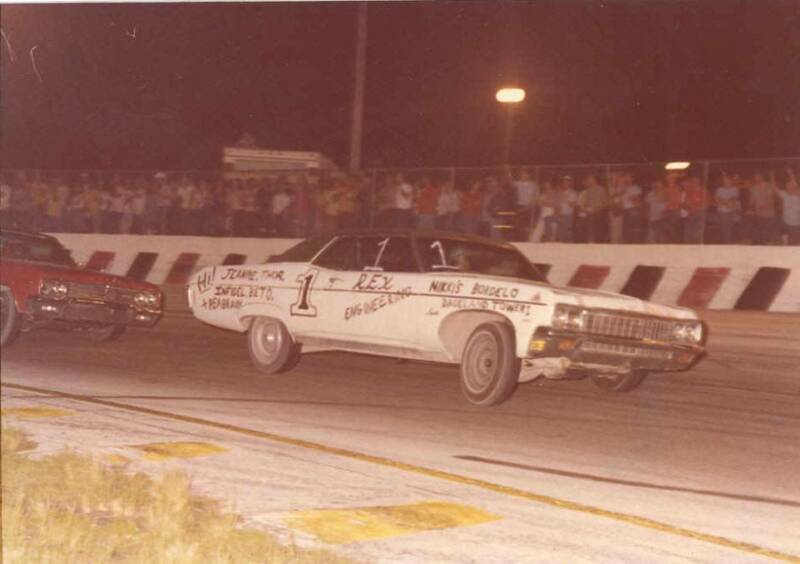 It was "Run What Ya Brung": a 10 or 15 lap race for street legal cars that were driven to the track. The guy who often won these things managed to put himself in the wall while trying to pass me, so I looked pretty cool for the first time out. I ended up 5'th, but ran in traffic the whole time and just had a blast! This was 1979, so I was 17. Here is my little girl at 14 months. In case you noticed the "Texas" sticker... 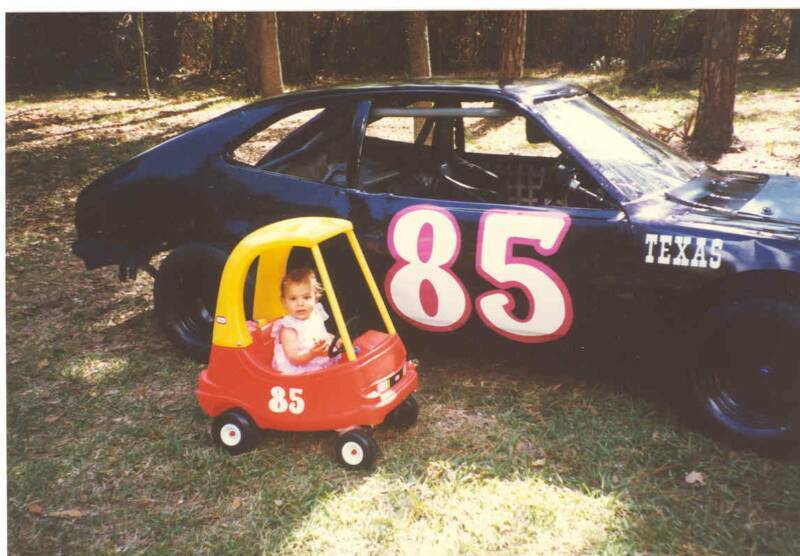 This was taken when we lived in Miami, a town that we didn't like except for the racetrack. We had moved there from San Antonio, TX, a place that we liked a lot, so I was pretty homesick for a few years. Take a look at the proudest dad and husband in the world. 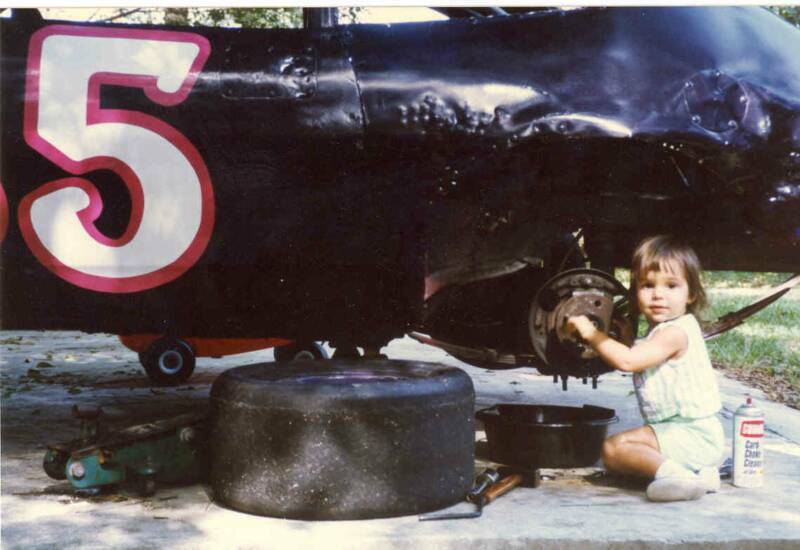 At 2 years old, she loved to twist the lugnuts on and off. 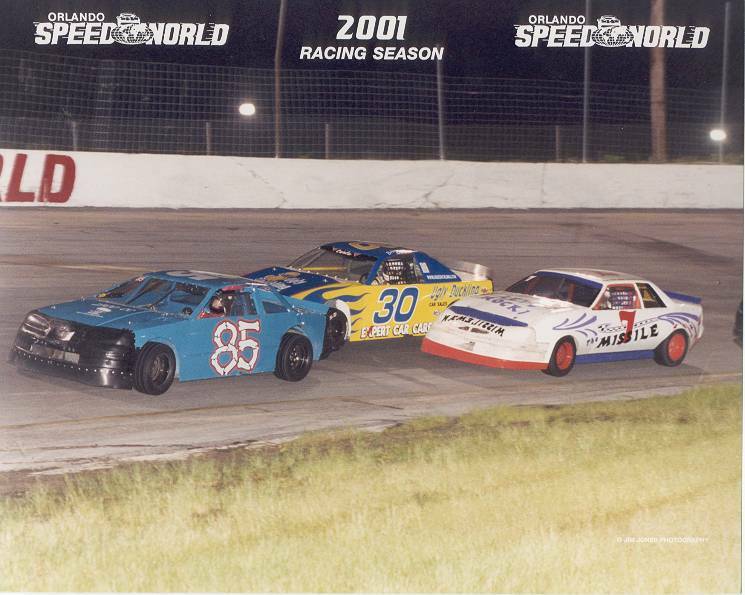 My first night in a mini-stock, Sept. 1, 1990. 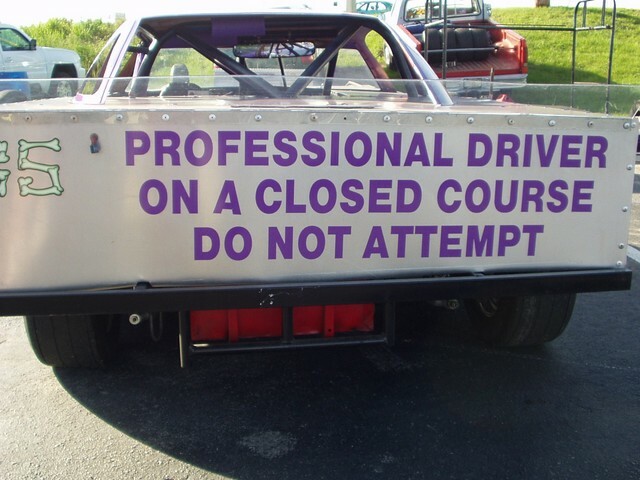 This was on the back of my 2004 car. Not everyone got the joke!